If your day goes to crap, there will always be ice cream. If the world goes to crap, there will always be a marketing genius who creates an inspiring video. Since everyone could use a little love (and ice cream) right now, Ben & Jerry's was the perfect company to release an adorable and heartwarming commercial about the importance of coming together. 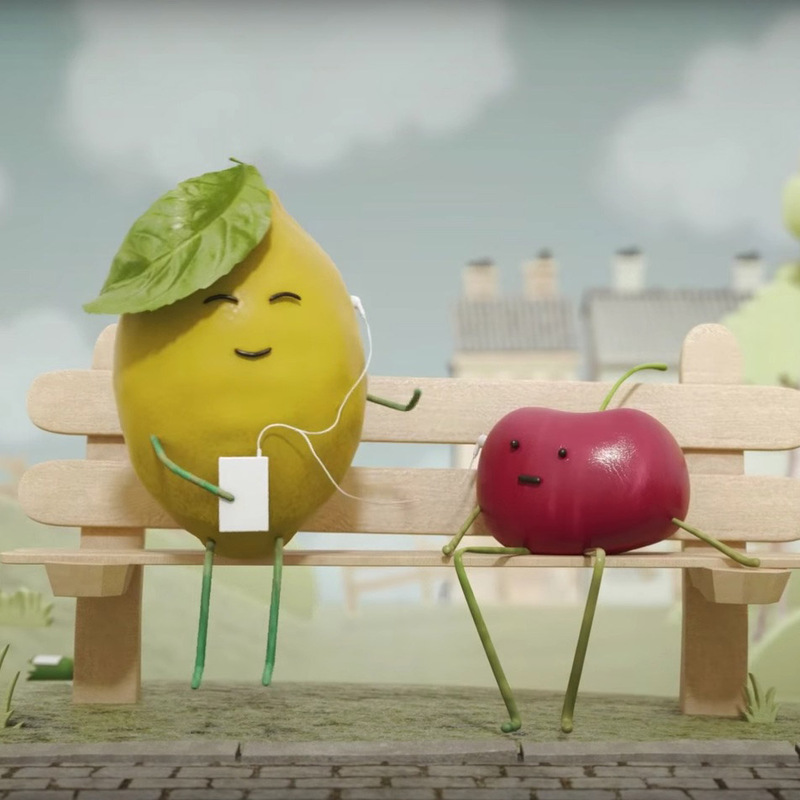 The animated clip, titled One Sweet World, features a peace-promoting cherry in a rally full of sour lemons. Feeling defeated and ostracized, the cherry seeks respite in the amazingly-named Rosa Park. After finding an empty picnic bench, the cherry is startled to realize that a lemon is sitting right next to him. The cherry assumes the worst, but is relieved to see that the lemon simply wants to share a happy song and become BFFs. As a result of their newfound friendship (documented on social media, of course), peace and harmony spreads across the land. The message is simple: "we don't live in a one flavor world." "At Ben & Jerry's, we're concerned that the dominant message we see in society today is one of division... it's sometimes easy to think the world is becoming increasingly divided. So, we've been thinking about how we can amplify a message of unity & love using the thing we know best: ice cream!" the YouTube video's caption reads. So the next time life gives you lemons, understand that not all lemons are rotten, celebrate the good ones and figure out a way for them to be incorporated into soemthing great, like a new Ben & Jerry's ice cream flavor. Because a play on Lemon Meringue Pie sounds pretty freakin' delicious right now.